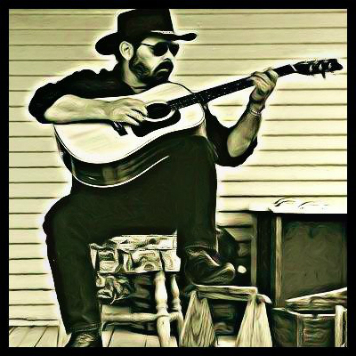 Younger generations claim that seeing "MistaBluesman" play his acoustic guitar is like hanging with your Grandpa on a back porch on a steamy, lazy Summer evening with your Grandpa playing his guitar while casually mesmerizing you with rich playing and soulfully baritone vocals. 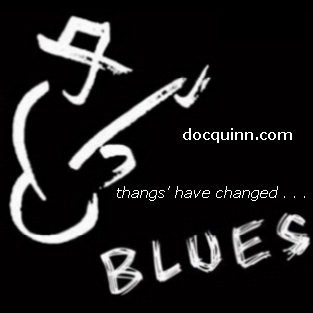 Doc "MistaBluesman" Quinn's Prophetic Blues started many years ago when his Father (Buddy Quinn) handed MistaBluesman his very own first guitar. 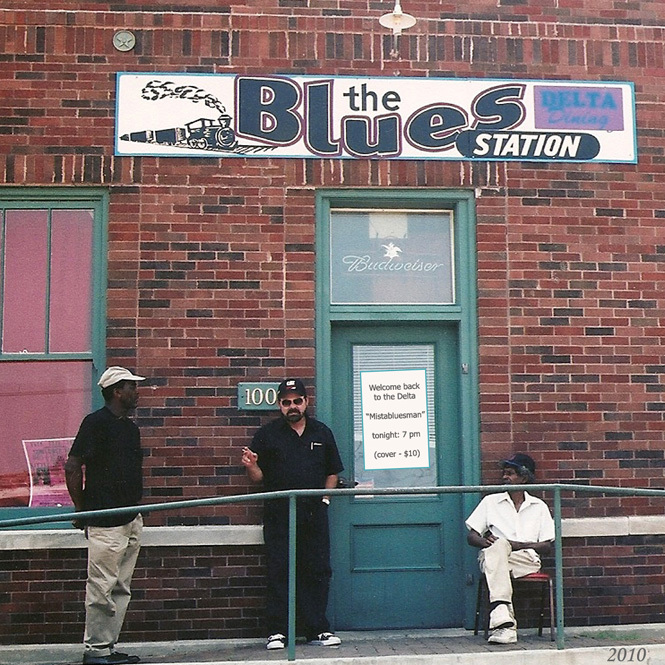 My Blues for free listening - Click Here! To buy single tracks - Click Here! To Purchase a CD - Click Here! 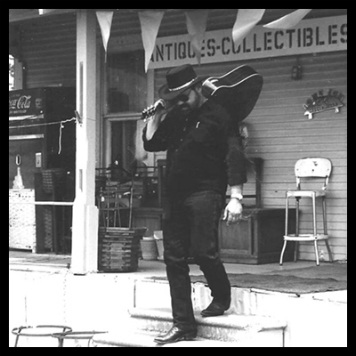 Doc "MistaBluesman" Quinn's 2010 CD Cover Art Photo - Photo taken in 2002 - Clarksdale, MS.